oooh I can't wait to see this. it looks SOOOO BAD!!! It was bad but enjoyable! Not enough character development, some truly bad American accents, and eye rolling moments, but fun action, nice international scenes, and some unintentionally funny moments! It's entertaining, provided you have extremely managed expectations. It was very entertaining, and going forward I hope that anyone that programs any device to prevent something makes sure to include a countdown timer and voice warning in case that device fails. FIVE MINUTES...TO GEOSTORM is just the best dumb thing. We only needed the geoengineering because Butler failed with renewable energy. North facing solar panels on a northern hemisphere site. Come on dude! I did manage them, but: this was bad and not fun. For a disaster movie it's very talky; there's a lot of slow-moving conspiracy before the storms. We're supposed to care about the brothers' relationship; we don't. All the dialogue is terribly written and woodenly delivered. They have no idea how to write a child's voice; Butler's young daughter talks to him like an adult. Ed Harris is game but it's obvious from the moment we see him that he's going to turn out to be the villain. This was terrible and was not worth the time. 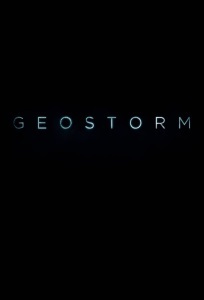 It's a movie called Geostorm. What did you expect?